Currently, there’s a video clip doing the rounds of Facebook that informs the viewer about Medicine Hat: a Canadian city that’s actually eradicated homelessness. To do this, the city has implemented a somewhat revolutionary, as well as rather obvious initiative. 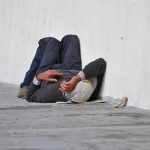 The traditional approach to homelessness was to expect a person living on the streets to initially address underlying issues – such as alcohol or drug dependency, or any mental health issue – prior to being provided with a place to live. But, the relatively recent “Housing First” approach turns things on their head. Homeless people are firstly offered a home to live in, and then they’re provided with support services to deal with whatever other issues they might be having. Since April 2009, the community in Medicine Hat has provided housing to over 1,000 individuals, who’d been sleeping rough. The system is recovery-oriented, and those who receive housing are provided with continued help. But unlike other approaches, the housing isn’t withheld if the homeless person has certain behavioural issues. Medicine Hat isn’t the only place to have taken the Housing First approach. It’s been implemented in cities globally – even in Sydney: the city that’s been ranked the second-most expensive in the world to live. Homelessness is on the rise in Sydney, partly due to lack of affordable housing. 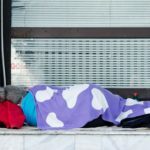 There’s also been a reported upsurge in the number of people finding themselves on the street temporarily – for periods of around one to three weeks. The City of Sydney council conducts a street count twice a year. 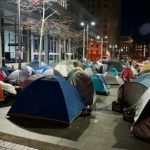 In February this year, they identified 948 homeless people in the Sydney CBD. On the night of the count, 433 people were sleeping rough, 489 were occupying crisis and temporary accommodation, and 26 were hospitalised. There were 16 crisis accommodation hostels with a minimum of 414 beds operating throughout the city council’s local area. And on that night, hostel beds were at 91 percent capacity. The number of homeless people in Sydney has increased by 28 percent since 2011. NSW has more homeless people than any other state or territory in Australia. According to a Homelessness Australia factsheet, in 2013, there were an estimated 29,191 people with no fixed address state-wide. There’s also a terrible lack of affordable housing across the state. Right now, there’s around 60,000 people on the department of housing waiting list NSW. And those on this list can be waiting for up to 10 years. Homelessness NSW is a peak non-profit organisation that works coordinating homeless services around the state. The body is calling on the NSW government to implement a Housing First approach to end the cycle of homelessness. 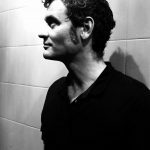 Sydney Criminal Lawyers® spoke with Digby Hughes, senior policy and research officer at Homelessness NSW, about the drivers behind homelessness, the housing affordability crisis, and the success the Housing First approach has already had in NSW. Firstly, Digby, what is the homelessness situation like in NSW at the moment? We believe it’s getting worse. We don’t have much hard evidence. We have a lot of anecdotal evidence. The best hard evidence we get obviously is the census. The last census was in 2016. We’re not going to see new census data until early 2018. The other thing that we do have are the numbers of people going into homeless services through the Australian Institute of Health and Welfare data work. And the numbers there have increased dramatically in the last few years. And what is it like for people out there sleeping rough? What sort of issues do they face? There’s a number of issues. The biggest issue is the lack of affordable housing. The lack of a place that they can actually afford is why they’ve ended up on the street. We do know from the small amount of research done that people who sleep rough are more likely to develop a mental health issue. That’s research done by Guy Johnston, an academic from Melbourne. Fifty percent of the people he surveyed developed their mental health issue living on the street. Then you have other issues around violence on the street. Not only with the group of people who are homeless, but also to people who are homeless and sleeping rough. That happens far more regularly than it should. It shouldn’t happen at all. Young boys, especially, get out on a night on the turps and think it’s a great game to go an attack the person who is homeless. Then there’s the lack of capacity to actually belong. And holding onto your belongings is a huge issue if you’re living on the street. And maintaining your identification – some form of ID so you can prove who you are. Interactions with law enforcement and the police. We know that people living on the street actually have far more interactions with the police, than the general population. Currently, the fastest growing group of people finding themselves out on the street are women over the age of 55. Why is this occurring at the moment? It’s been described as a perfect storm. They’re women over 55, who have been in and out of the workforce over time. They’ve often not been in full-time employment. They might have had some part-time work. They’ve been in relationships. If they’ve suffered domestic violence, that’s been years ago. It’s not a current situation for them. Then they hit retirement age – they retire or get retired. As we all know, there’s discrimination against older people in the workforce. So they get retired. They’re in private rental and their small nest egg gets run down. The rent keep going up, and their capacity to pay disappears. One of the troubles with that group is that they’ve traditionally been the carer. They’ve been in and out of the workforce because they’ve done the caring for children and caring for aged parents, or other relatives. They’ve been a carer, and they don’t know how to be looked after. They’ve never done that. They’ve always been the one giving, and that’s an issue for them. And they also don’t understand the service system, because they’ve never been homeless. They’re 55, 60, 65, and they’ve never actually been in that situation before. Guys who have been living on the street for 10 or 15 years, they know how to survive. These women don’t know how to survive. There’s temporary and crisis accommodation available for people who find themselves with no fixed address. What are these forms of accommodation like? And is this source of accommodation adequate? If people can get in, it’s adequate. But what we know is that for every person who gets into a homeless service, there’s at least one or two other people who are turned away because the service is full. One of the reasons for this is the lack of affordable housing. Services generally do a really good job working with their clients. DV therapists do a great job working with women escaping domestic violence. Adult services do a great job with men. Youth services do a great job. But they can’t exit them out to anywhere after they’ve done their work with them, because there’s nowhere to put people into. So people get blocked in the service system. There’s a housing affordability crisis in NSW, especially in Sydney. It’s one of the most expensive cities in the world for housing and accommodation. In your opinion, why is accommodation so expensive in this part of the world? There’s a number of reasons. One of them is the fact that for the last 25 or so years, we’ve had next to no investment in public housing. And that starts to drive the problem up. Over that period of time, the population of NSW has increased by well over a million. The number of public/social housing dwellings have fallen by over 20,000. If you needed 20,000 more properties 25 years ago, you obviously need a lot more than that now. The current estimate is that we need over 100,000 public housing dwellings in NSW. We have 60,000 people on the waiting list. That’s part of the problem. The other problem is the population has increased and people are buying property, but the taxation system is designed to assist people who are buying their second, third and fourth properties, rather than the first home buyer. The NSW state government announced their new housing package at the beginning of this month. It provides a range of assistance to first home buyers. But does it address the state’s homelessness situation in anyway? They’ve announced a number of areas where they’re going to have major redevelopment, but there was no target of inclusionary zoning on any of that. A few days ago, the government announced $20 million for homelessness – to start to address the issues in the city. It’s not a bad thing, but it doesn’t really address the core problems that are driving homelessness. And it doesn’t provide the answer that we know works for a lot of people and that answer is Housing First. Evidence has clearly shown over the years that Housing First is an approach where you get a rough sleeper, you give them accommodation and whatever support they need. So a person with drug and alcohol issues, you get them accommodation, and then you look after their drug and alcohol issue, and/or their mental health. And that’s the sort of approach they’ve been taking in Canada? That’s exactly right. And we’ve had it in NSW as well. We’ve done the Common Ground model out at Camperdown. We’ve had Platform 70 in mid-Sydney as well. And when we’ve had those implemented, and up and running, the numbers of rough sleepers fell. So we’ve had these programs in NSW, but they’re not running anymore? Well, they’re still running, but they’re full. There were limited numbers of people. Platform 70 was 70 people, and Common Ground was about 50. So we took about 120 people off the streets and housed them. But those ones are full and we’re now waiting. What sort of outcomes did those projects have? Excellent outcomes. Between 85 and 90 percent of people maintain their tenancy, which is an outstanding success. Some of the people had been homeless – living on the street – for 10, 15, 20 years, or longer. And to get them housed, and keep them housed that is remarkable work. Homelessness NSW is a peak body working with homeless services to prevent and reduce homelessness. 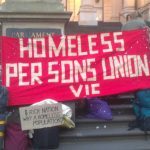 How does Homelessness NSW actually go about doing this? The best analogy I’ve come up with is you’ve got two cogs. You’ve got the cog of government going around, and the cog of the homeless service system going around. And I view our role as the grease. We try and get those cogs working as well as we can to ensure that for the same amount of effort and expenditure, we get a better outcome. We tell government what they should be doing, and then, we also tell the services what they should be doing. And we keep everybody informed about what’s actually happening out there, as well as lobbying for the issues. So it’s a matter of listening to our members. We talked earlier about the number of people who are homeless. We believe the number in the next census is going to be very high because our members keep telling us they’re getting more and more people coming to their doors. We get very good information from our members about what’s actually happening out there. And lastly, can you tell us a bit about some of the projects and programs your organisation is working on at present? Among the things we’re doing right now, we do a lot on behalf other organisations. We’re running a forum in a few weeks’ time on Housing First. We organise forums and conferences, and get a lot of information out to our members about what is happening. We also do submissions to various government inquiries. Is it likely that another Housing First project is going to be up and running? We’d like to think so. The City of Sydney is very much in favour of pushing one. And we’ve been very strong in pushing for it. We know that they work, and we think that we’ll see a new one soon. Digby, thanks very much for taking the time out to have this chat with us today. And continued success with your work in helping this state’s homeless people.